I hope you and yours are enjoying a restful and joyful Thanksgiving holiday. I’m obsessed with Brussels Sprouts. 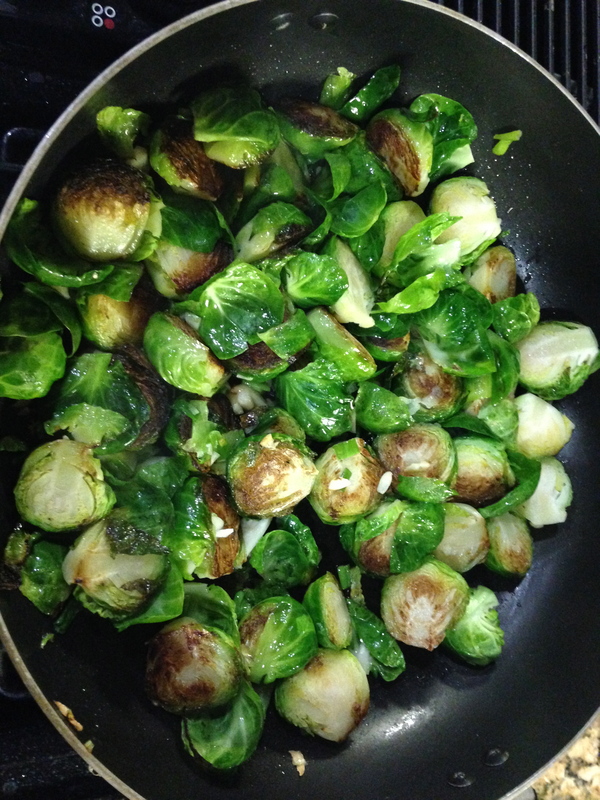 Here is my favorite Brussels Sprouts recipe. 1. Clean and trim the ends off your sprouts. Cut lengthwise. Finely mince garlic and chop shallots. 2. Lightly oil a flat bottom-wide pan. Place brussels flat side down, in a single layer. Scatter shallots and garlic over top. 3. Cook brussels until they began to carmalize, then turn over and cook the other side. About 4 minutes on each side. 4. Add enough water to cover the tops of the brussels and crumble the chicken stock on top to taste. Shake pan and steam until most of the water has cooked off. Enjoy this often forgotten vegetable that is sure to please a crowd at your celebration.